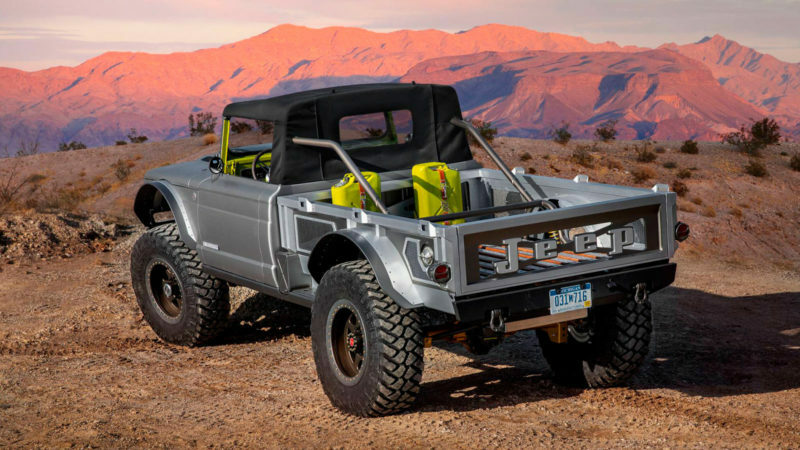 Jeep timed the release of its new M-715 Gladiator ‘Five-Quarter’ concept vehicle to coincide with the annual Moab Easter Jeep Safari for a very good reason. Now in its 53rd year, the Safari gathers full-size 4×4 vehicles of all types to tackle the rugged backcountry trails of Moab, Utah. The M-715 Five-Quarter has been specifically designed to excel in this highly demanding environment. 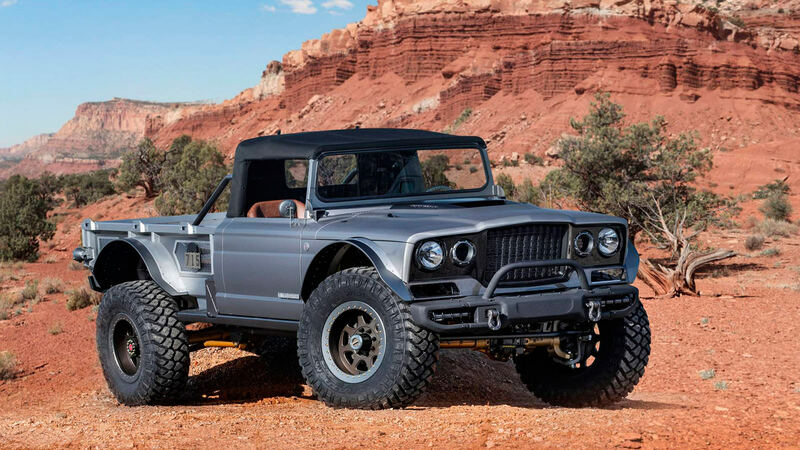 A restomod of a M-715 military vehicle from 1968, this truly exceptional Jeep features a completely overhauled chassis and drivetrain, a heavy-duty link/coil suspension system, a new front end of 100% carbon fiber, and a custom-fabricated bed of lightweight aluminum. But the real star of the show here has to be the M-715 Five-Quarter’s incredible HEMI V-8 engine. Nicknamed the “Hellcrate” and famous for powering the Dodge Demon pony car, this 6.2L-supercharged engine is capable of traversing the tough Moab terrain with the power of 700 horses.